What do individuals experience while having a glass of wine with their friends? The sound of the glasses clinking, the elevated aroma and the wine’s rich colors all add to the taste of the drink and set the ambience. The simple act of sipping wine has now become a holistic experience. These behaviors have prompted restaurateurs around the world to focus on providing their customers with enhanced multi-sensory experiences through their food, beverage and atmospheric offerings. The authors of this article conducted participant observation to validate O’Noir’s appeal of providing the enigmatic experience of eating in the dark, where consumers are restricted from seeing anything, especially their food. This interaction is used to promote a social message—all the waitstaff are blind—and also caters to a social position of its customers. Sight and smell are important senses because they are tightly tied to the sense of taste. Generally, anything that isn’t sensed as appealing to the eyes or nose will end up disrupting the entire experience; both these senses enhance customer satisfaction and the overall taste. 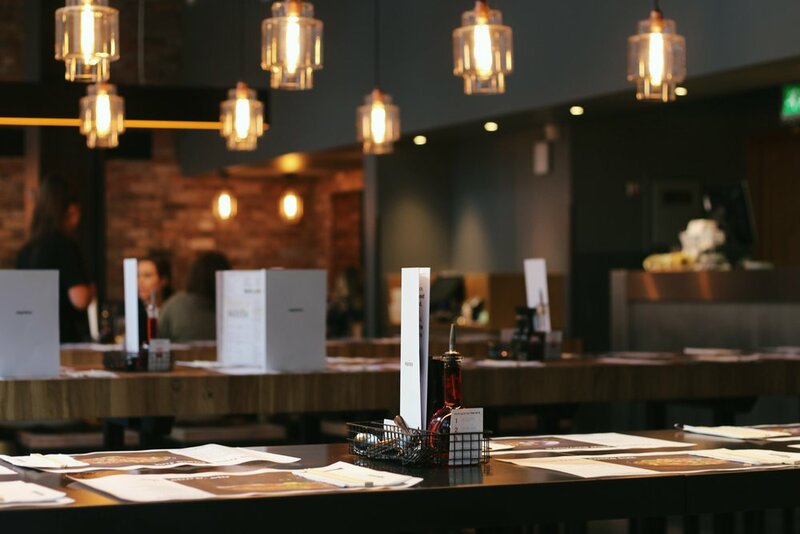 Moreover, customers are biased to form their first opinion of a restaurant based on its atmosphere. Touch is not only limited to the food we consume, but also to the ambience a restaurant offers. In fine dining, the interiors need to be smoother and feel more luxurious. The food provides different textures, such as soft, creamy or crispy, which builds on the taste. Furthermore, the temperature within a restaurant may also result in an entirely different food experience. Many studies reveal that background music at a restaurant can directly affect the flavor of food. Thus, restaurateurs use all senses to complement the food and drinks they serve. Truly unique experiences are not born from a simple combination of all the senses as discussed, but from the true variations each can bring. The attraction to each of the restaurants mentioned isn’t the multi-sensory experiences they provide, but that they enhance one sense over another or, in the case of O’Noir, entirely eliminate one. The reason they remain successful is derived from their ability to create a unique experience that tells a story representing the essence of the restaurant while focusing on the star of the story or show: the customer. Thus, it is important for restaurants to convey their brand story through these senses. The multi-sensory dining experience impacts the customer journey in all stages. In the awareness phase these restaurants usually need little promotion and marketing to sell their experience. In some cases, the secrecy of the dining experience is maintained to increase interest and demand. In the second phase, the dining experience impacts the customer through multiple touch points using the multi-sensory experience. The experience creates an emotional reaction and memory for the customer. In the last phase, the customers act as brand ambassadors to promote the restaurant. Their memorable experience acts as a testimony to the community through their tweets, Instagram photos and Facebook posts, and as they continue to share their experience with friends, colleagues and family members. Krishna, Aradhna (2012), “An Integrative Review of Sensory Marketing: Engaging the Senses to Affect Perception, Judgment and Behavior,” Journal of Consumer Psychology, 22 (3), 332-351. Kubota, Lily (2012), “The Tasting Experience: Our Five Senses and Some of the Ways They Influence Each Other,” The Specialty Coffee Chronicle. Murphy, Caitlin (2015), “How Senses Impact Your Dining Experience, Backed By Science,” Spoon University. Tu, Chau (2015), “Does Sound Affect the Way We Taste?,” Science Friday. This post was originally published at ama.org. Kalyani Goswami, Karen Hudlikar, Sally Peter and Aditi Todi are students in Markus Giesler’s Customer Experience Design MBA elective course.